We always like to include some fun shots if can with each couple. In the photo above, it was easy. In fact, the bride and groom told us up front that they want MANY silly and fun shots. 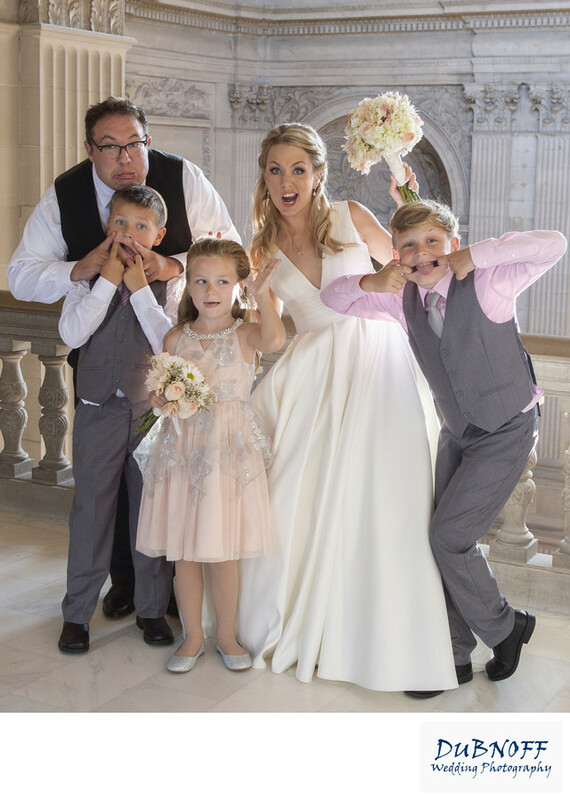 We had a great time posing them and working to get fun and different images at SF City Hall. The image above was a family shot and one of their favorites!